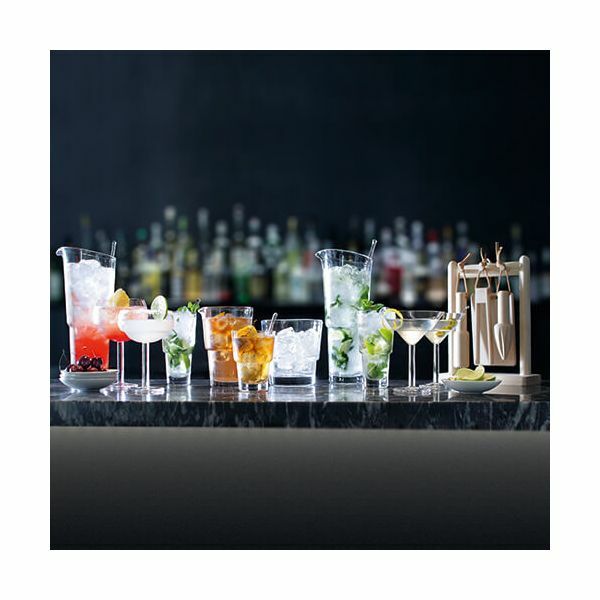 The LSA Mixologist Cocktail Connoisseur Set includes everything you need for your very own home cocktail bar. 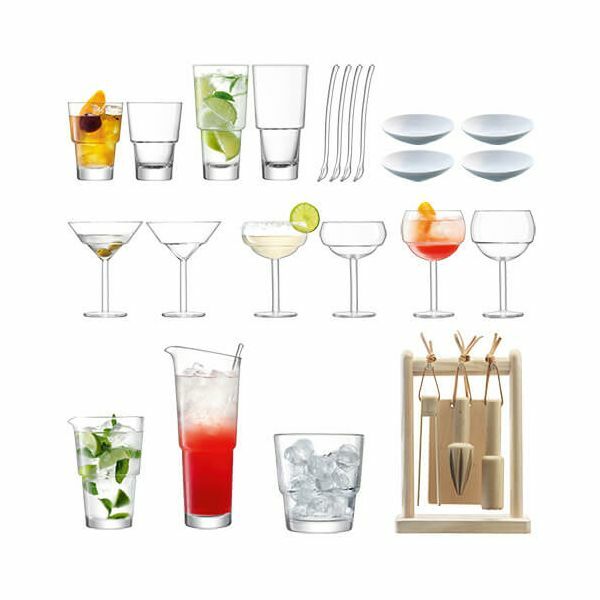 This comprehensive 22 piece set includes two Tumblers, two Highballs, four Stirrers, four Bowls, two Martini Glasses, two Coupe Glasses, two Balloon Glasses, a Mixer Jug, a Cocktail Jug and Stirrer, an Ice Bucket and Tool Kit. 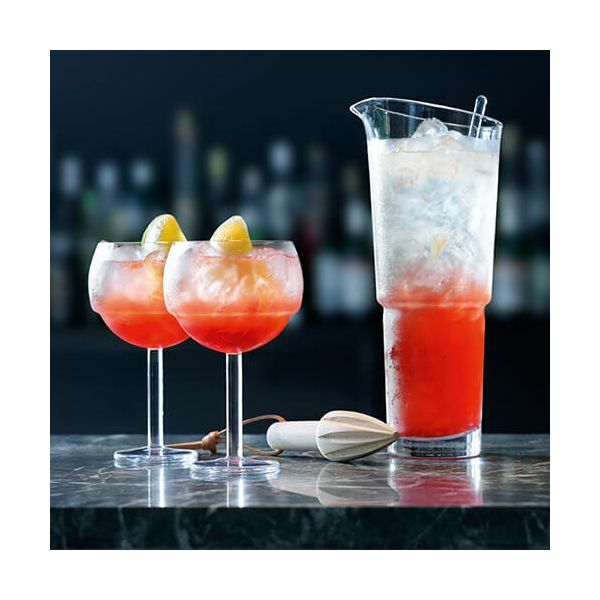 The mouth blown glasses feature the distinctive stepped design and thick stems that are characteristic of the LSA Mixologist collection. Martini glasses - Capacity: 230ml. Coupe glasses - Capacity: 320ml. Mixer jug - Capacity: 810ml. Cocktail jug - Capacity: 1.6L.